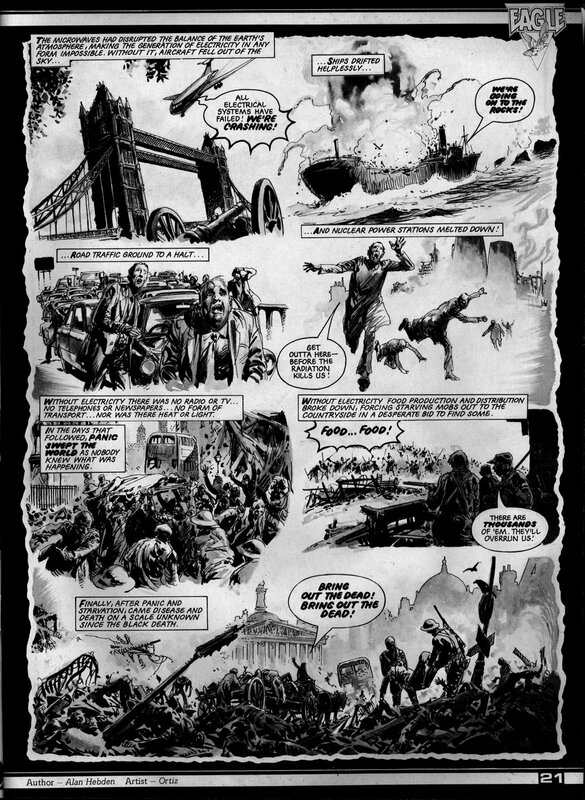 The Eagle – we want the following strips reprinted – NOW!!! 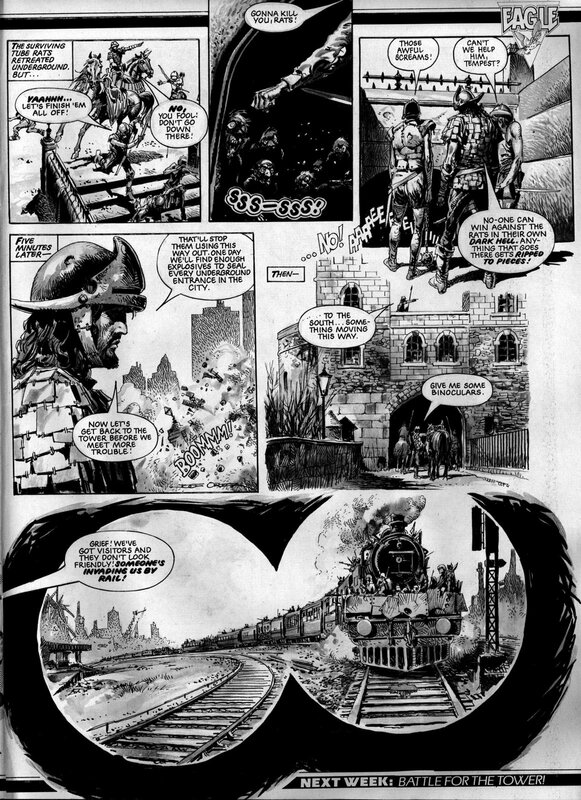 Following on from my ‘Tower King’ article, we go back again to the early days of the relaunched Eagle comic, and after the conclusion of ‘The Tower King‘, the following weeks issue saw the arrival of another illustrated strip, again rendered by Spanish artist Jose Oritz. 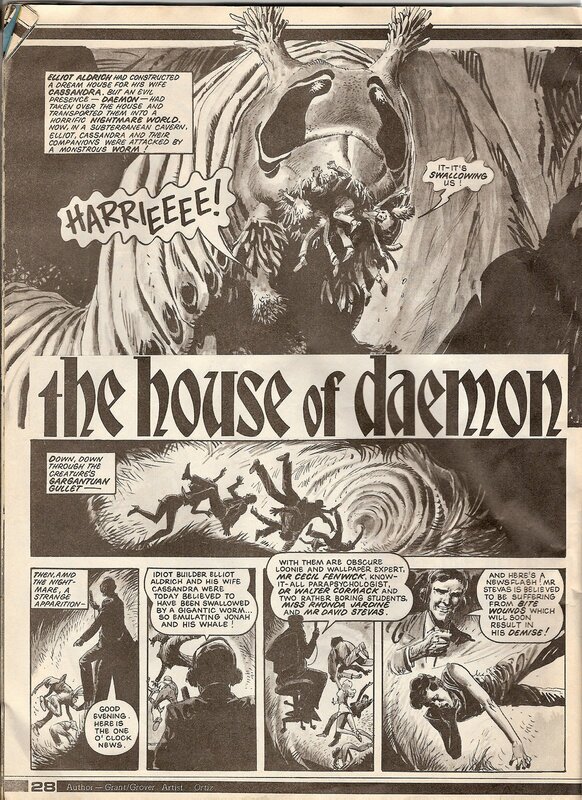 Entitled ‘The House of Daemon’, it was written by 2000AD stalwarts John Wagner & Alan Grant (best known for Judge Dredd). 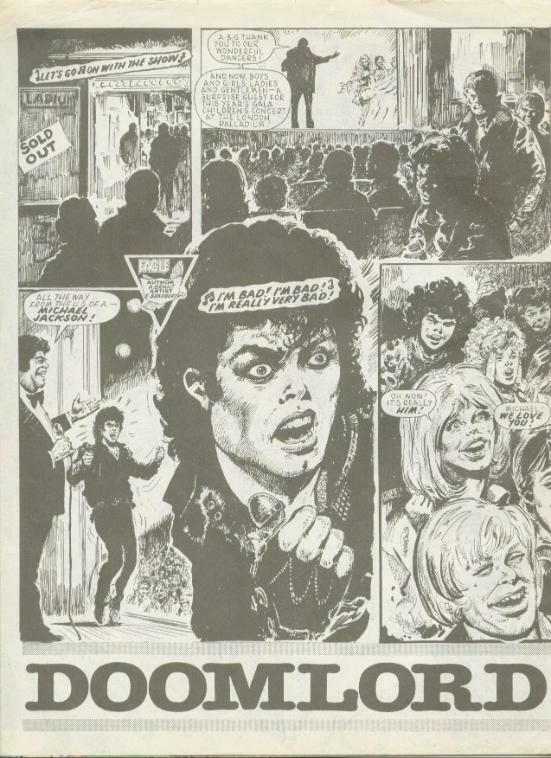 Running for 5 months from issue no.25 (September 11, 1982) to issue no.47 (February 12, 1983), this was a creepy and bizarre horror tale, one of the best Eagle produced. Over the course of the story, Cassandra, the architects wife and one of the main recipients of the malevolent Daemons’ evil, was revealed to have psychic powers. This empowered the embattled prisoners of Daemon, enabling them to fight back, by overcoming their fear of the environments Daemon created, showing them up for the mind-altering games that they were. 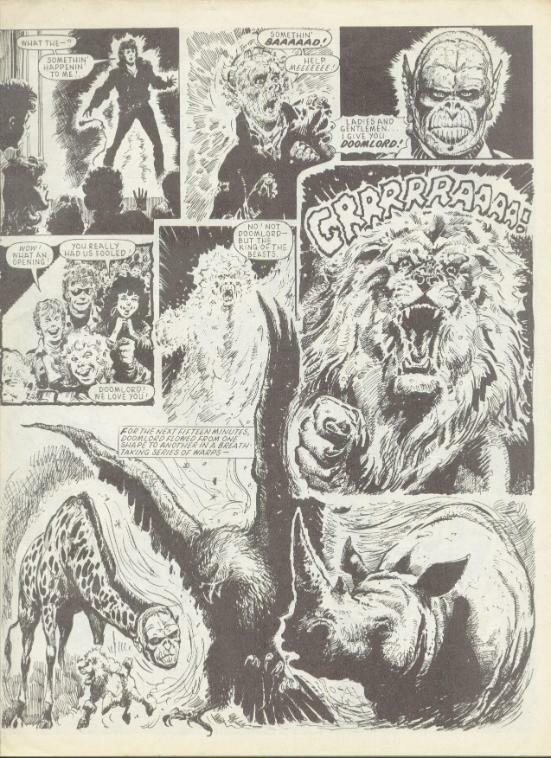 Eventually Daemon is revealed as a powerful dark sorcerer from the 26th century. He is, in that future, effectively imprisoned in the ‘House of Daemon’ by 3 wizards from that same future, who combine their powers to keep him incarcerated. This all becomes apparent when Cassandra locates the 3 wizards in the lounge, part of which is a ‘sanctuary’ for them, protected from Daemons evil. track down Daemon to the attic, where a surprise awaits them – those thought killed by Daemon are actually alive, all part of Daemons mind games and reality altering powers. The physical form of Daemon is poisoned by Cassandra, and the modern day prisoners of his evil plans manage to escape. finally, Elliot Aldrich and his building firm proceed to surround the house with high brick walls, to keep unwitting visitors away, and to isolate Daemon until reality and time catches up with him in the 26th Century. 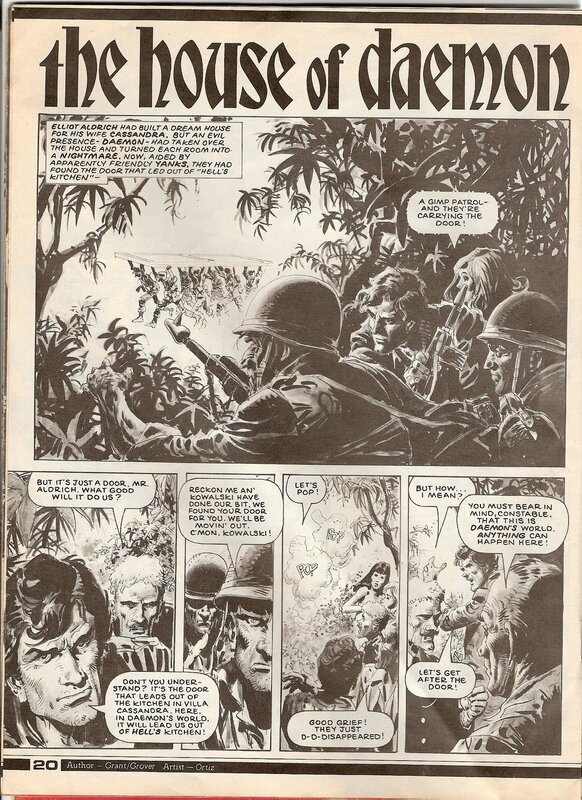 As if inspired by this strip, Grant & Wagner went on to create another dwelling-based Horror strip within a year when ‘The Thirteenth Floor‘ debuted in ‘Scream‘, and fittingly, ended up at Eagle when the former title merged with the latter. It went on to become another of Eagles most popular strips. 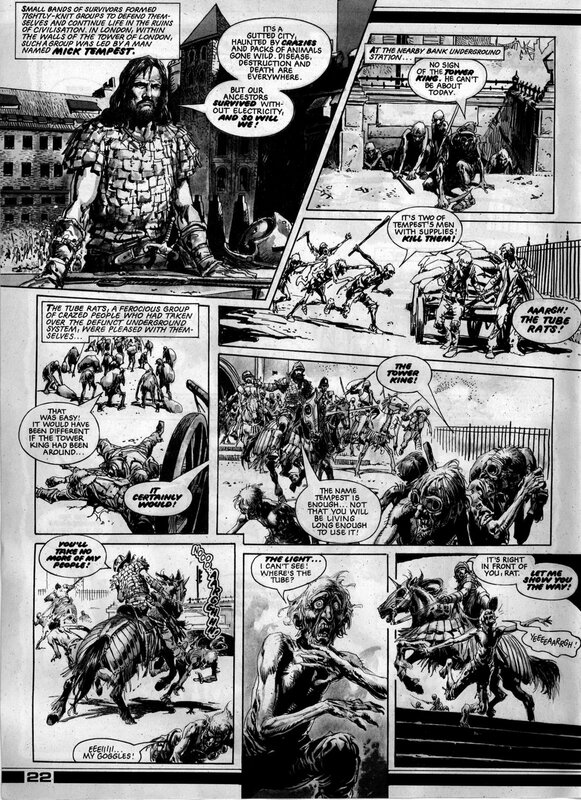 I remember ‘House of Daemon’ being, like The Tower King, a great read and better than a lot of the stuff that 2000AD was publishing at the time. 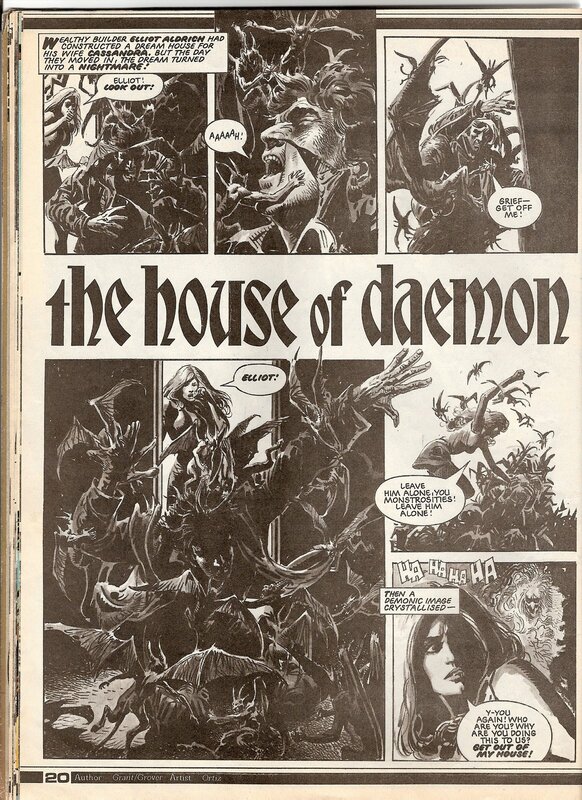 ‘House of Daemon’ would have been a great addition to ‘Scream’ comic as well, but as it is it rankls amongst the very best that Eagle offered. 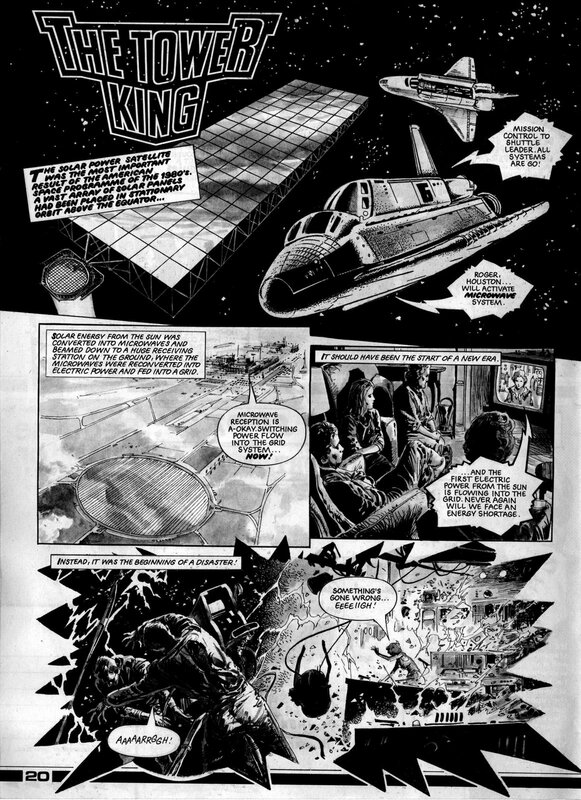 Also, like ‘The Tower King’, I do not believe this has been reprinted. I think its time someone put these 2 titles together in some sort of trade paperback. They’d have my business for sure.